We Specialize in Custom and Handmade Women's Hats for All Occasions. Using only the finest materials for trimming. Silk flowers, Swarovski Crystals. Satin Ribbon. Coque Feathers. Veiling. Most of our hats are One of A Kind. 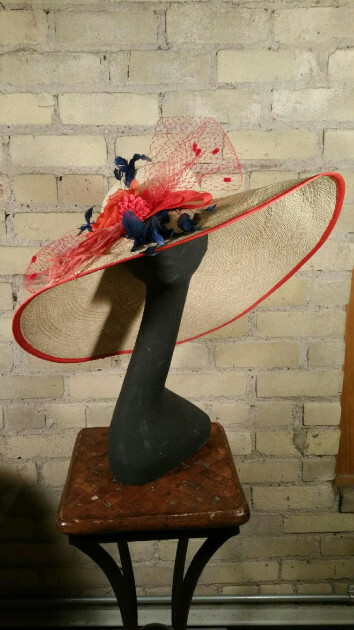 Kentucky Derby worthy 8 inch wide brim Panama Straw.